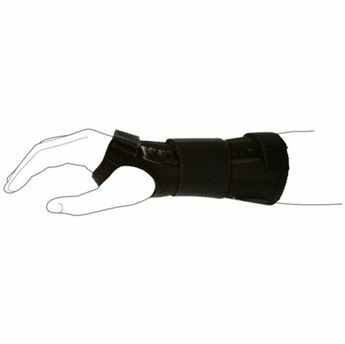 Low profile night splint that holds the elbow in a neutral position for the treatment of cubital tunnel syndrome. Adjustable aluminium stay. Middle strap can be removed. Measure circumference at bicep for sizing.